The South African Revenue Service (SARS) has refuted media reports that customs officials discovered R4 and R5 rifles, 7.62mm light machine guns and ammunition on-board an SAA aircraft last Saturday. “SARS wishes to state that the reports contain factual inaccuracies and that we were not afforded an opportunity to comment on the reports prior to release,” the revenue service said in a statement on the weekend. 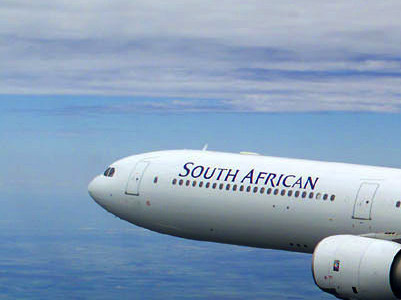 It said the specific aircraft, a South African Airways (SAA) chartered flight, which was scheduled to depart from OR Tambo International Airport on Friday, 22 July, was cancelled. “We can confirm that our Customs and Immigrations officials were informed by the South African National Defence Force (SANDF) of the flight’s schedule to be able to conduct the necessary inspections as per normal processes, including inspecting the flight for prohibited and restricted goods,” SARS said. Erika Gibson from Afrikaans newspaper Rapport had earlier reported that the flight was chartered to transport some Cuban deployees home for their summer holidays and that the SANDF failed to inform SAA of the fact that on the same flight it would be transporting live ammunition and military hardware to Cuba. Rapport on 29 July said the weapons were intended to be reverse-engineered in Cuba and sold back to South Africa and other African countries. The publication released a copy of an urgent temporary permit from the National Conventional Arms Control Committee (NCACC) for the export/import of conventional arms and services for the flight. The permit is for a total of 20 “various weapons” being exported for “maintenance/repair”. The permit holder is listed as the South African National Defence Force (Joint Operations Division) and the end user is listed as “Operation Thusano, Union of De Industria Militar”. The shipping agent is given as AB Logistics, a division of Armscor. The date of export is 20 July 2018, according to the permit. According to Rapport, there were two 7.62 mm light machineguns, several Star 9 mm pistols, six R5 and four R4 assault rifles and three vehicle simulators, including two for Ratel vehicles. The intention, according to Rapport, was for the weapons to be reverse engineered. On 25 July the SANDF in a statement said it “rejects with contempt the allegations that the SA National Defence Force was trying to smuggle small arms and munitions to Cuba as reported in “Rapport” of 22 July 2018. The equipment in question was heavy vehicle simulators for training purposes and were cleared by Customs and ARMSCOR following due process. The SANDF would like to state that there were no small arms or munitions that formed part of the consignment as reported. In 2014 the SANDF entered into an agreement with Cuba for Cuban technicians to repair South African military vehicles under Project Thusano. Hundreds of millions of rands have to date been spent repairing and preserving thousands of vehicles. South African National Defence Union National Secretary Pikkie Greeff in a Daily Maverick opinion piece on 30 July stated that “apparently the initial explanation that was provided by management in the SANDF to the entire episode was that the military hardware was designated by authority of the Chief Joint Operations of the SANDF to be utilised in training. The problem with that explanation is multipronged. Nothing in the agreement between the SANDF and Cuba provides for training of Cuban military personnel by either SANDF personnel or SANDF resources such as weapons. Nor for providing SANDF hardware by export to Cuba for training purposes. It also fails to explain why the necessary export permits were not acquired and it does not explain the clandestine nature of the original intent. “The lawyer in me tells me that on a balance of probabilities, the evidence weighs heavily in favour of the Rapport article being accurate and the SANDF version being a poorly constructed camouflage to hide the truth,” Greeff writes. On 31 July the Chief of the SANDF, General Solly Shoke, will host a press conference to deal with this and other recent allegations.